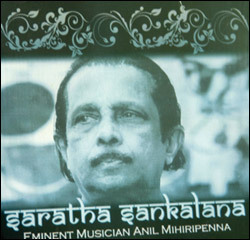 endeavoured to teach, develop and popularise Indian classical music in Sri Lanka for the last forty years. Mihiripenna graduated from Vishva Bharati University in India (Shanthinikethana) and studied esraj from maestro Ashish Chandra Benerji, flute from Pandit Gowr Goswamy and vocals from Pandit Jamini Kantha Chakrawarthi. Widely travelled on concert tours to the USA, Hong Kong, Taiwan, Singapore and India, he has been conferred Master of Arts (Musicology) by the Open International University of the USA. With his next concert just days away, Mihiripenna converses with the Daily News about a couple of issues that he feels passionately about. 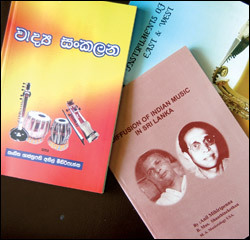 What do you think of the position of instrumental music in Sri Lanka? Indian instrumentalists have better teachers and a better future, when you compare them with our instrumentalists. The main difference in India is that they learn under the guru kula system. Knowledge passes from teacher to son. Even in Sri Lanka, we had this system under Kandyan dancing. Students had to stay in the premises. I am trying my best to have this system here. I have asked the Government to give us a land to enable us to do this. The famous Ravi Shankar stayed with Master Alaudeen Khan in his ashram and practiced 12 hours a day. If people in Sri Lanka get the same opportunity, we can produce better instrumentalists. We need the environment to produce better musicians. In other countries instrumental music is used more widely than vocal music. Why is it not happening in Sri Lanka? once. I did not see any other instrumentalists. This happens only in Sri Lanka. In India, intrumentalists are too invited to gatherings. To do a song, you need a lyricist, a musician to compose music and an orchestra and then only the singer comes. 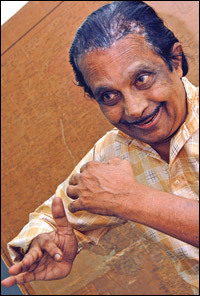 In Sri Lanka, only the singer is seen and not the other people who contributed to the song. It is a pathetic situation. Someday, it should change. How do you use music against stress? Four years back, I went to a college of music in Calcutta for a performance on flute. I use my flute for meditation and relaxation and usually close my eyes when I play. When I opened my eyes after about ten minutes, to my surprise, many of the professors, pandits and various other people in the audience were sitting on the floor. I did not get my clap and the organizers said that for bhavana, they do not clap. Then I realised my capability to mesmerise people with my flute, my bansuri (Hindi word for flute). What do you see as your musical achievements? My esraj teacher was eminent Ashish Chandra Benerji. He did not allow us to write notations. Books were not allowed in the class. He said, ‘You can write not on books but in your head.’ For three years, I did not write anything. That was a good way of teaching. What I learnt then, I still can remember. In Sri Lanka, light music is more popular. How can you make classical music popular? You know what people call a ‘rella’ (wave). A wave is very nice but it goes back. This happens to musicians who are in a wave. People who have studied in India like Pandit Amaradeva, my friend Sanath Nandasiri and Victor Ratnayake have not gone back. But ‘wave’ people fall with a thud. If your house does not have a foundation, it will collapse. If you learn music, you will remain a musician for a very long time. What are your travel experiences? My first tour was to Nebraska State in the USA. We did some workshops and public performances there. We had to teach our music to Amercian boys and girls in the Wesleyan University. I taught music and my brother Basil Mihiripanne taught dancing. I was given the post of Visiting Professor of Ethno Music (music of Sri Lanka, India, the Middle East and Nepal). My children were small then and I did not want to bring them up there and I did not accept. The Governor of Nebraska confered on me honorary citizenship. “Anil Mihirippenna and Orchestra in Concert” takes stage at Elphinston Theatre, Maradana, at 6 pm on March 25. The Chief Guest of the occasion will the High Commissioner for Bangladesh in Sri Lanka. The concert is open to invitees and those of the public with an ear attuned for classical music. The evening’s program will be a rare treat, promises Mihiripenna. A Kathak dance item infused with orchestral music revolves round a story with a happy ending. 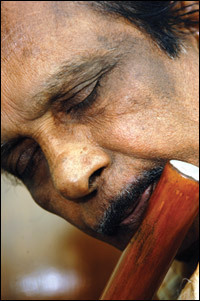 A bamboo flute playing session will be based on the “Jog” raga. Mihiripenna’s prowess to hypnotise audiences with flute playing will once again be demonstrated in Sangeet Bhavana. There will be “tumri” (lighter vein classical music) and “bhatiyali” (boatman songs), a type of music prevalent in East Bengal and Bangladesh. There will also be improvisations of old Sri Lankan folk songs and ghazals sung by Mihiripenna’s grandson Tharindu Damith.